Grow Chunks are quite similar to the Grow Cubes. The larger size makes Grow Chunks hold onto moisture and nutrients longer than the Grow Cubes giving you a little more time between watering. Like our other loose media, Grow Chunks can be mixed with other media and used in any system. Available in 2 cubic foot bags ONLY! Light, airy & versatile. 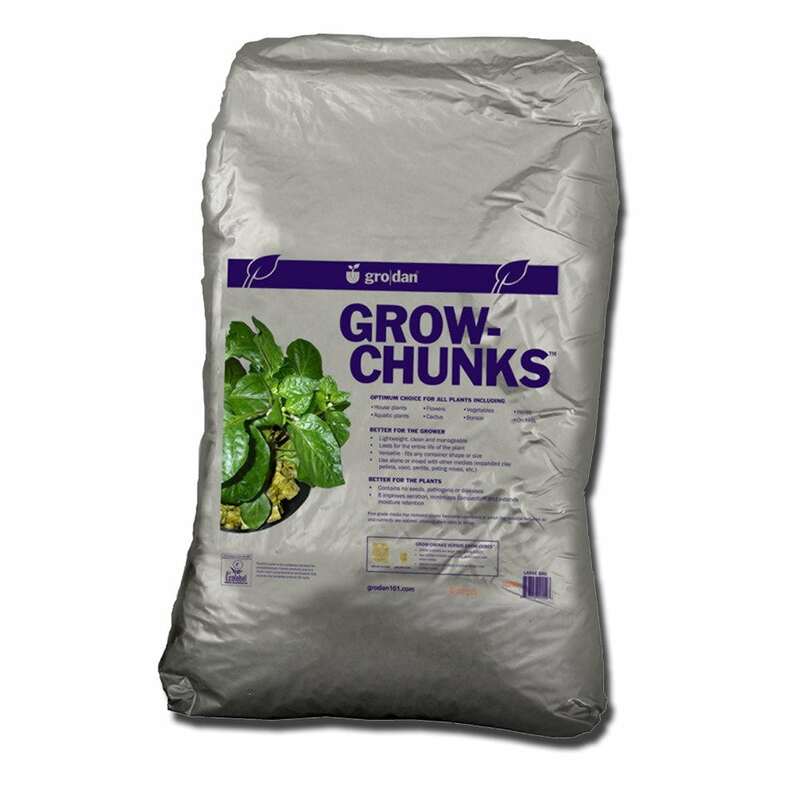 Grow-Chunks™ are about 3/4 inch square each and can be used in pots around blocks or alone. They are easily combined with other media, such as layering with coco fiber or clay pellets. They can also be combined with soil for added aeration and increased moisture holding properties. Great for hydro systems or container gardening.